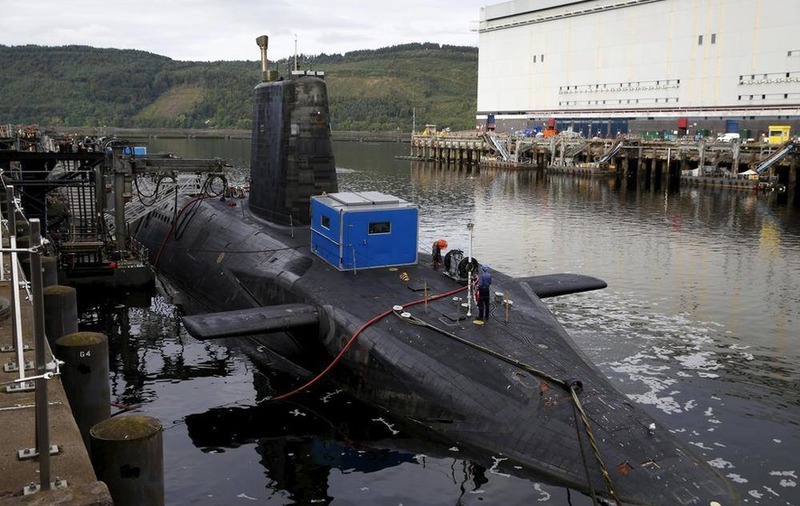 THOUSANDS of jobs on the River Clyde will be secured with a £500 million investment for the Royal Navy's Faslane base, Chancellor George Osborne has said. Mr Osborne visited HM Naval Base Clyde, home of the UK's nuclear deterrent, to announce a 10-year programme of work due to begin in 2017. The new contracts will ensure the future of the base's 6,700 military and civilian staff and contractors, with the workforce expected to increase to about 8,200 by 2022, he said. The work will include the construction of sea walls, jetties and other projects as the base gets ready to host the country's entire submarine fleet. The SNP and Plaid Cymru, which oppose the renewal of the Trident missile system, said the Chancellor's priorities were "fundamentally wrong". SNP Westminster defence spokesman, Brendan O'Hara MP, called on him to focus instead on welfare support and spending on conventional defence forces, which he said had been "cut to the bone" in Scotland. But speaking at the base, Mr Osborne attacked what he described as an "alliance" between nationalists and those on the left in the Labour party, who he said were against the mainstream "consensus" on the nuclear deterrent. 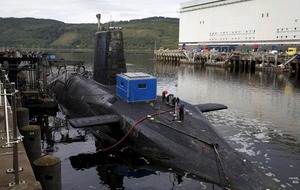 He said: "Economic security and national security go hand in hand and because our economic plan is working, we are able to invest hundreds of millions of pounds more and create more jobs here at Faslane to keep our country safe. There are some who would throw that away. "We are committed to replacing Britain's nuclear deterrent, because these submarines represent our ultimate insurance policy and we want to make a decision now to keep our country safe into the 2030s, the 2050s, the 2060s, a long time hence. 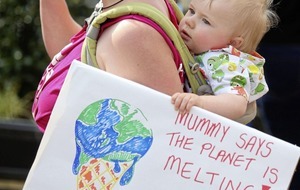 "In a dangerous and uncertain world, we've got to take those steps. There has always be a consensus among the mainstream political parties that that's the right step to take. 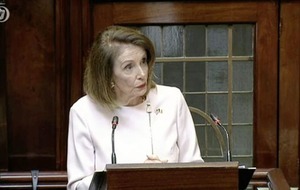 "Now you've got this alliance of Labour left wingers and the nationalists who want to break that consensus. "I don't think that's the sensible step to take. I don't think that's the right way to keep our country secure and safe in the future." But Mr O'Hara said: "George Osborne has his priorities all wrong. "He should be defending the disabled, not his government's indefensible decision to spend £100 billion on a new generation of nuclear weapons - and this so-called investment in Faslane will directly support the deployment of Trident submarines. 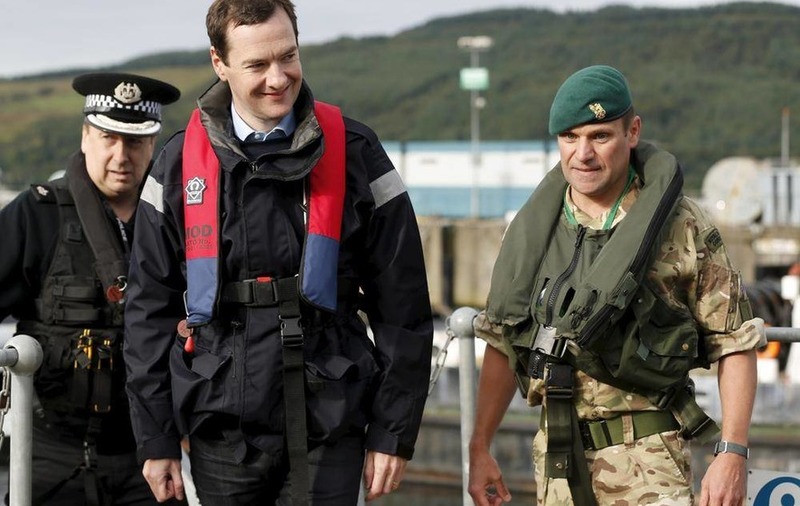 "George Osborne is essentially pre-empting a vote and actual decision on renewal of Trident. "There is something fundamentally wrong with Westminster's values and priorities if the chancellor thinks wasting billions on nuclear weapons is something to boast about when people are dying within our benefits system. John Ainslie, coordinator of Scottish CND, said: "We should beware of George Osborne bearing gifts. If you look underneath the wrapping, you will see that his real present for Scotland is more nuclear submarines. "He is cutting benefits for the most vulnerable in our society and making the poor pay for more weapons of mass destruction". Plaid Cymru leader Leanne Wood said: "As the chancellor visits Faslane today to promote squandering millions more on the nuclear weapons industry, he does so against the backdrop of swingeing cuts to vital public services. "This is further proof of George Osborne's warped priorities in thinking that a Cold War relic is more worthy of investment than our schools and hospitals. "It is perverse to claim that billions should be spent on outdated weapons of mass destruction when so many are being hit by welfare sanctions and struggling with stagnant wages." Mr Osborne said the commitment would help to secure the jobs of the 12,600 people across Scotland who work in defence and provide "huge opportunities" for defence, security and technology companies all over the UK. He also welcomed news that exploitation of the Culzean field off Scotland, the largest new gas field in the UK North Sea for a decade, has been approved by the UK Oil & Gas Authority. The project is expected to support an estimated 6,000 UK jobs and create more than 400 direct jobs, according to operator Maersk Oil. The chancellor said the move was a "clear signal that the North Sea is open for business".